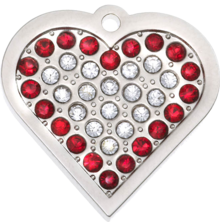 Featuring a small heart shape with red and clear crystals on the front. Latest technology laser engraving. 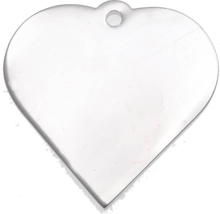 Guaranteed against breakage for 3 years, fading for 5 years and for 1 year against the loss of any crystals during normal use.